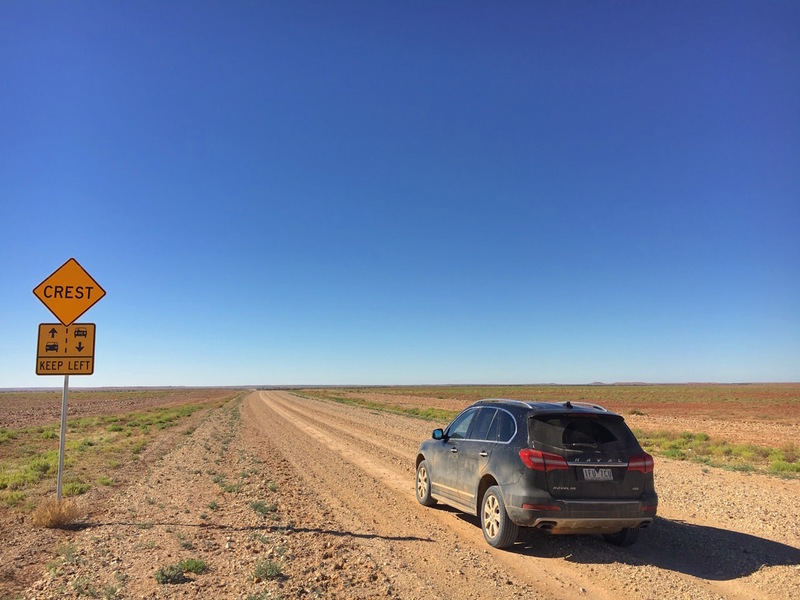 But it was the opportunity to check out the legendary Birdsville racecourse. 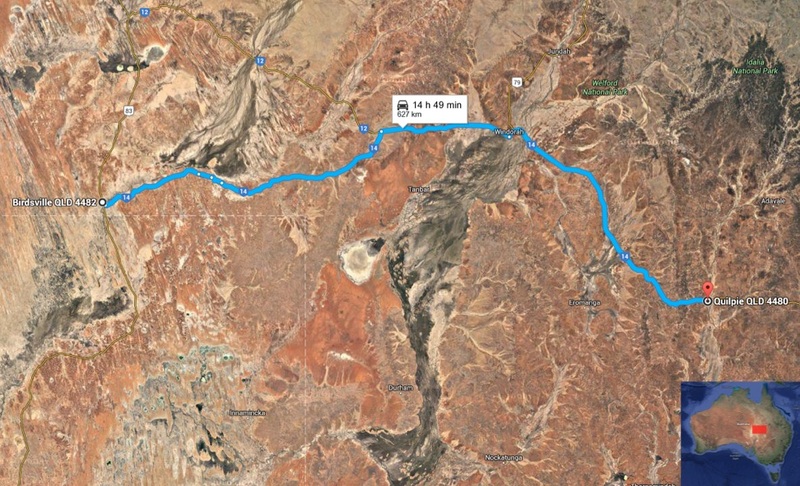 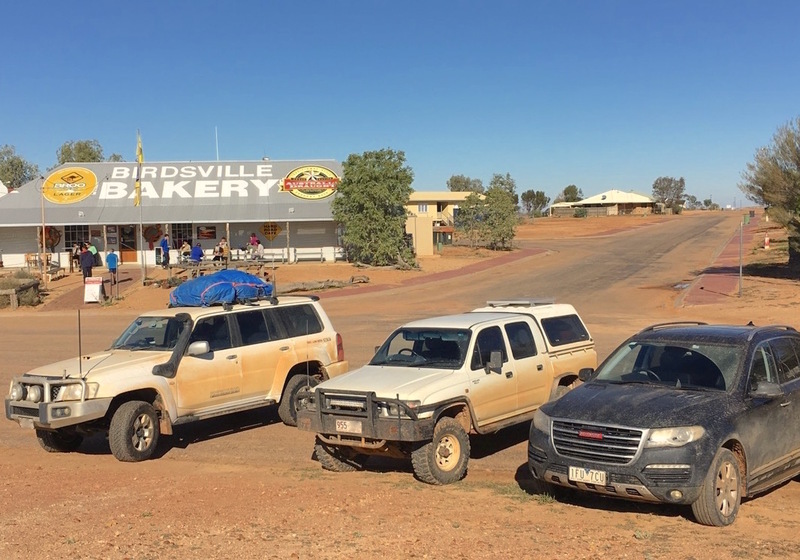 All along the trip people where asking me why I would want to go to Birdsville at this time of the year. 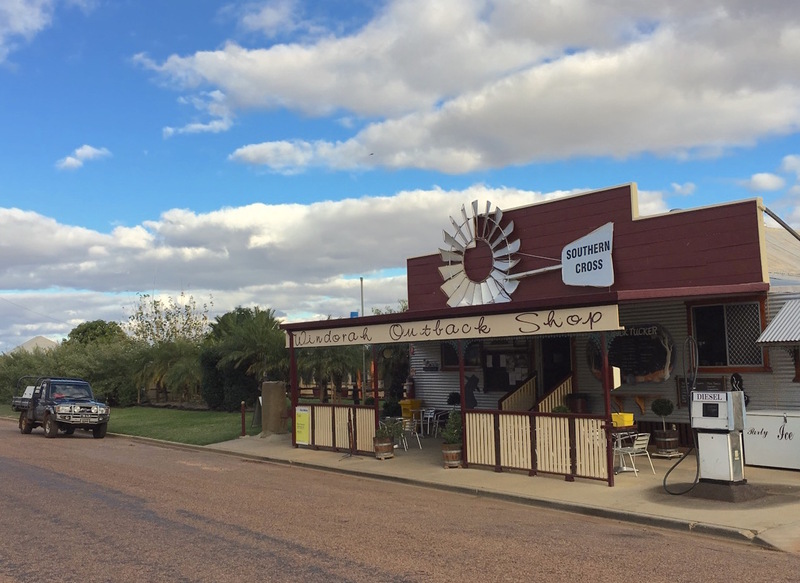 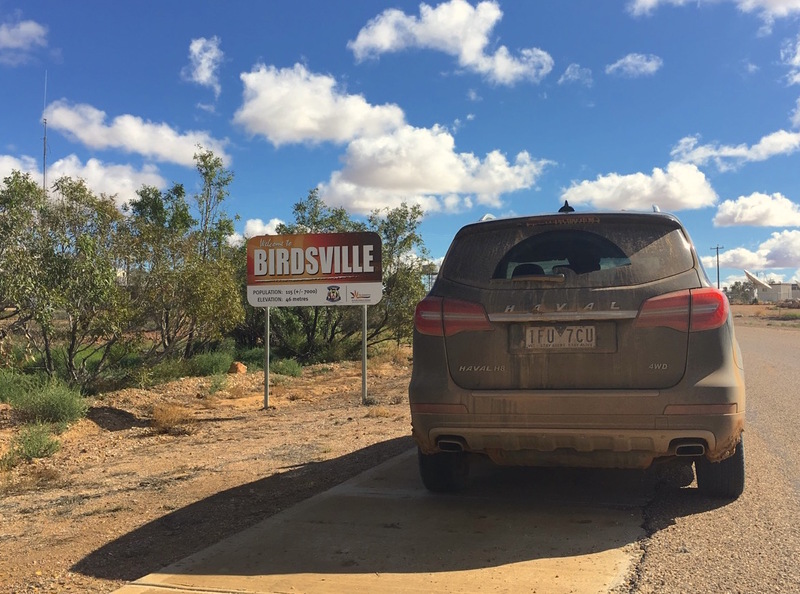 “It’s a bit early for the races!” On the “Welcome to Birdsville” roadsign, it says population: 115 (+/- 7000). 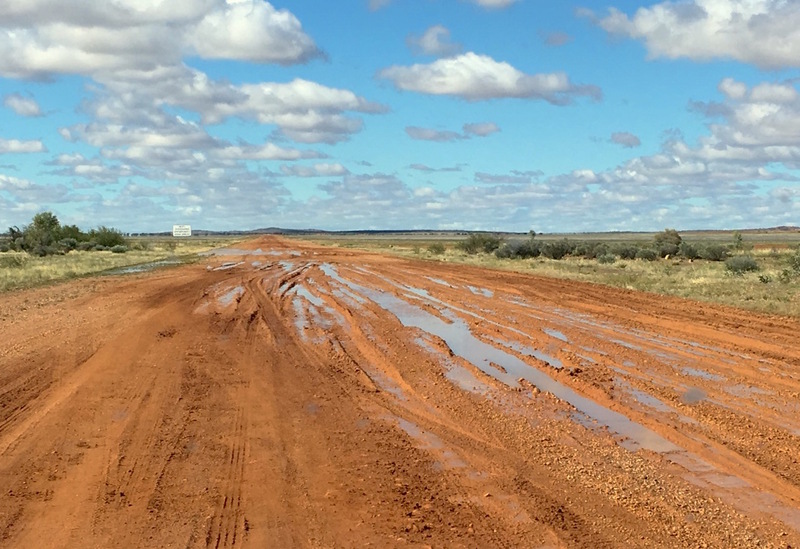 That’s because during the first weekend in September, the annual Birdsville Cup horse races draw up to 7.000 spectators from all over the country for three very dusty days. 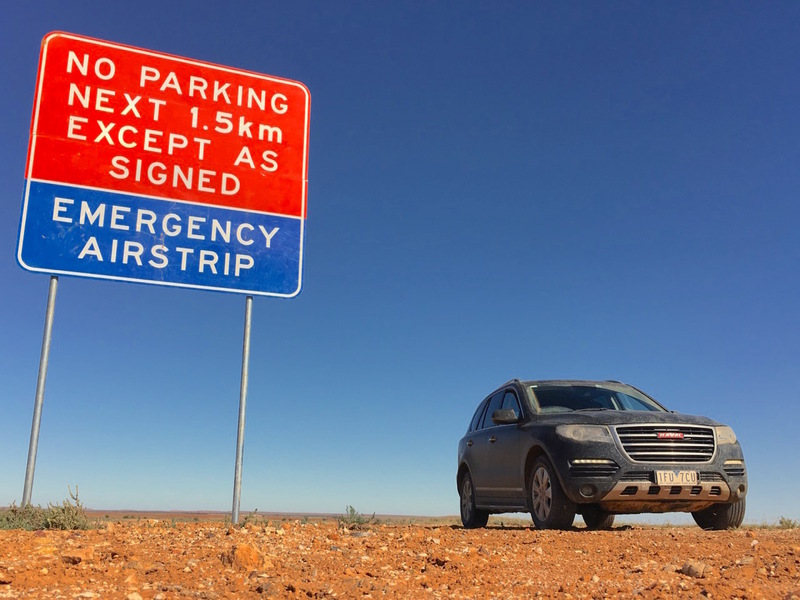 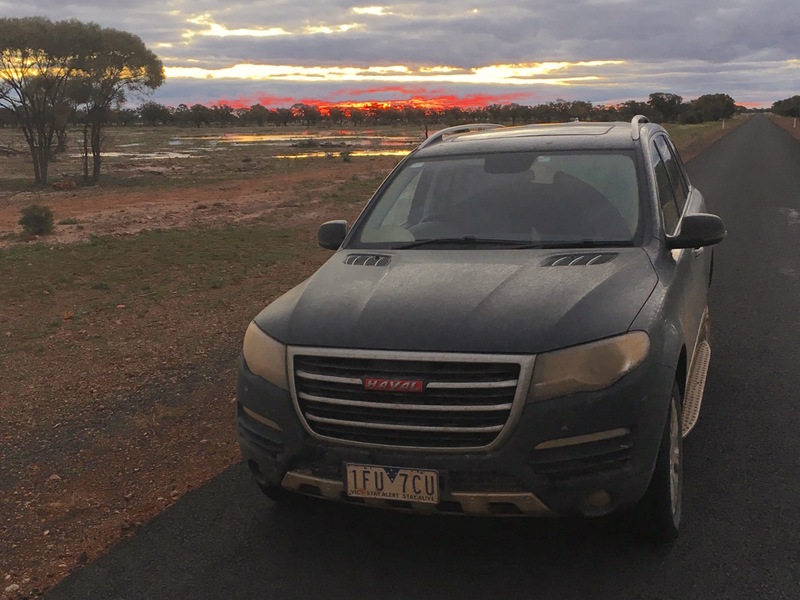 You know you are in the remote Australian outback when you realise that during these three days, parking is free for all light aircraft… Why bother with a car? 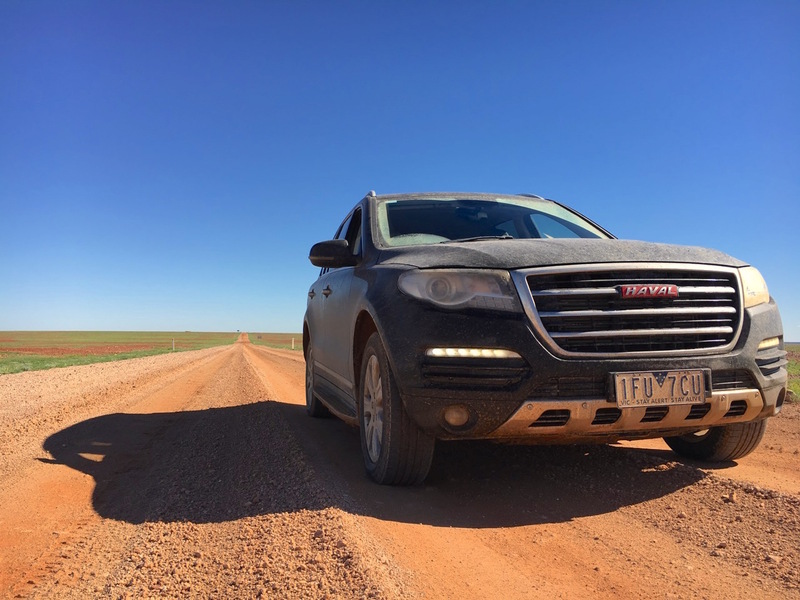 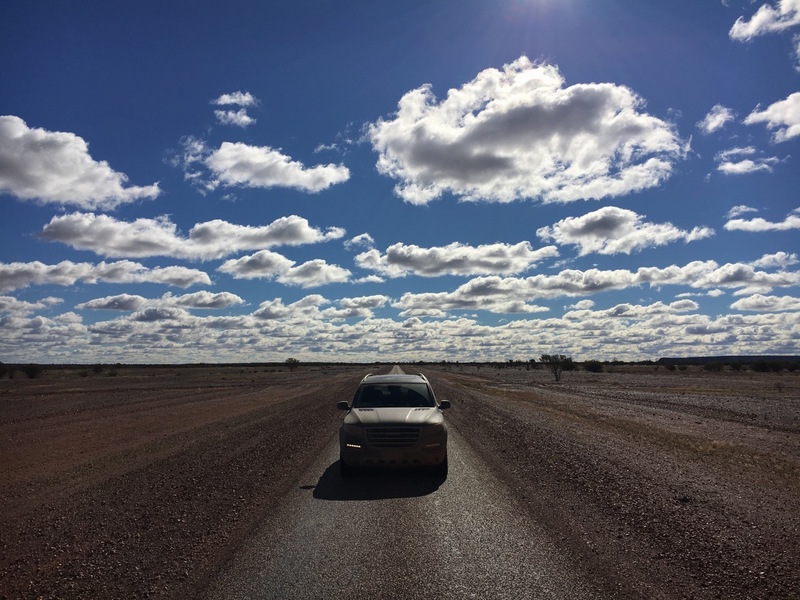 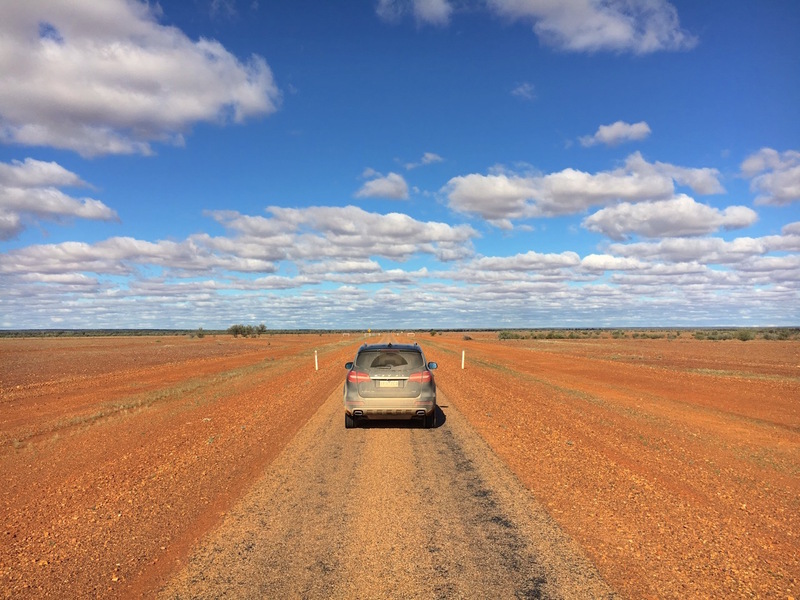 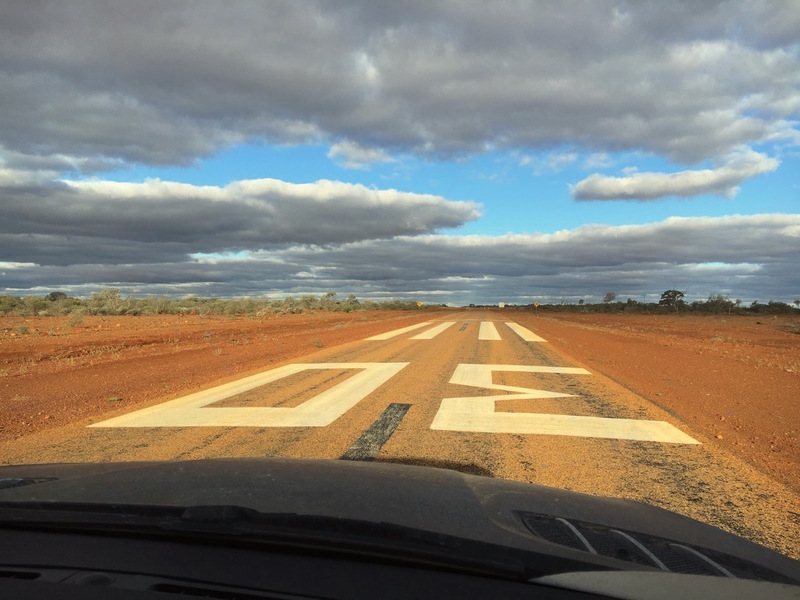 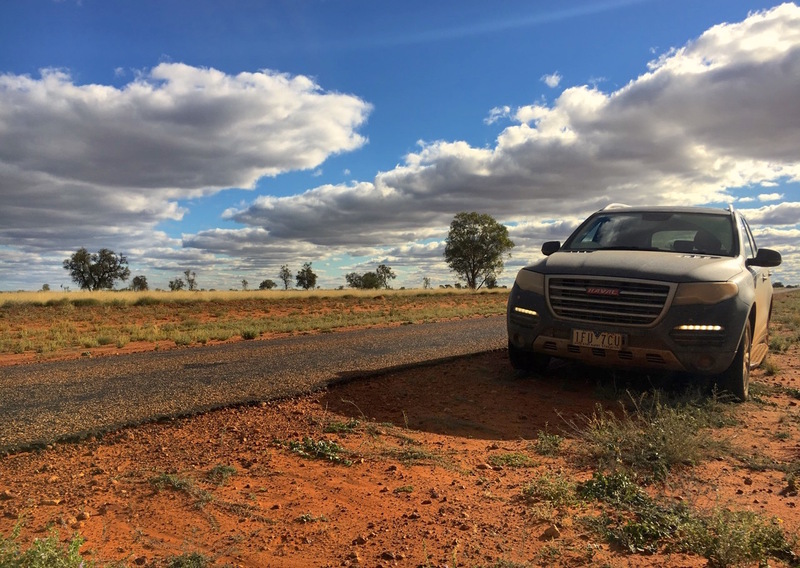 Roughly 150km past Birdsville near the Planet Downs station, I discovered a new concept which, it turns out, is another unique characteristic of Outback Australia: the road gets sealed for 1.5 to 3 km / 1 to 2 miles and becomes an emergency airstrip for Flying Doctors aircrafts. 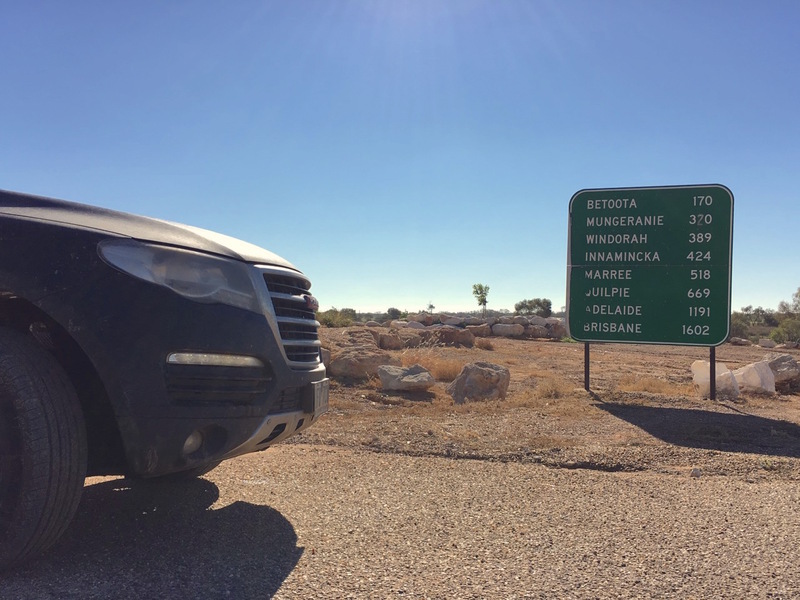 They are announced by a sign forbidding cars to park on the road for that distance, as pictured at the top of this article. 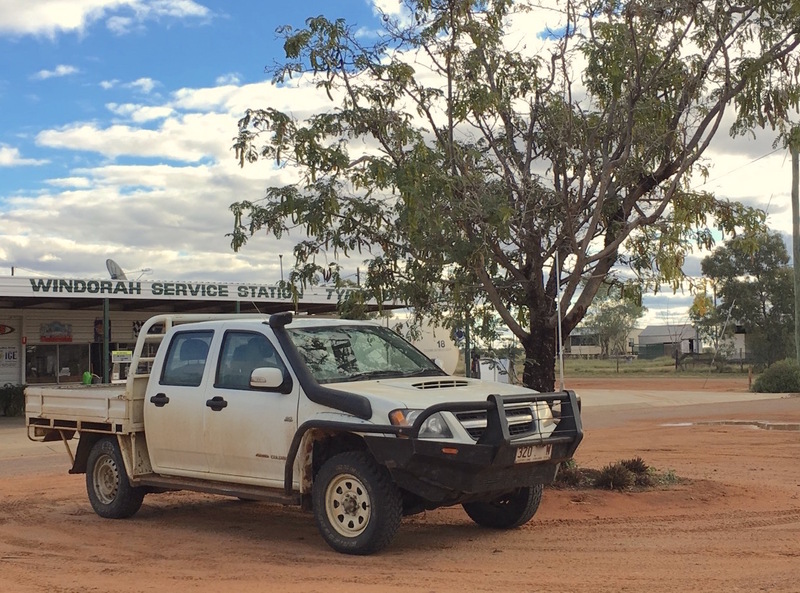 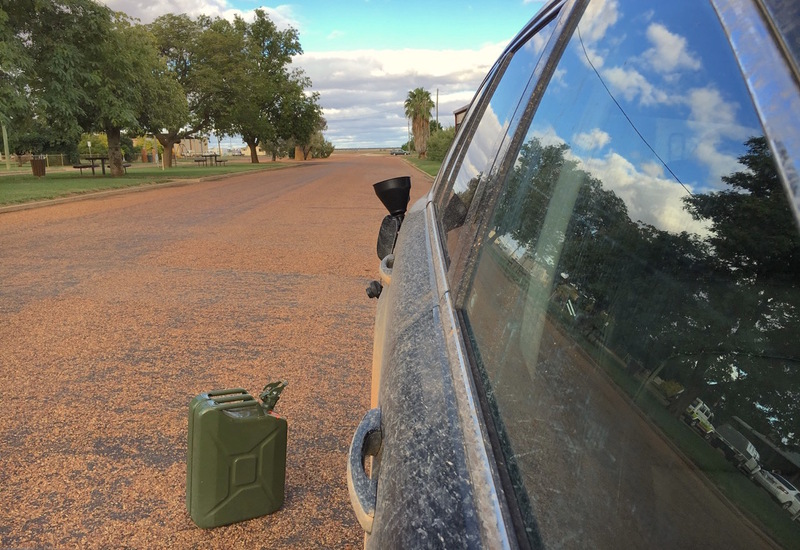 There were three of these on the way to Windorah. 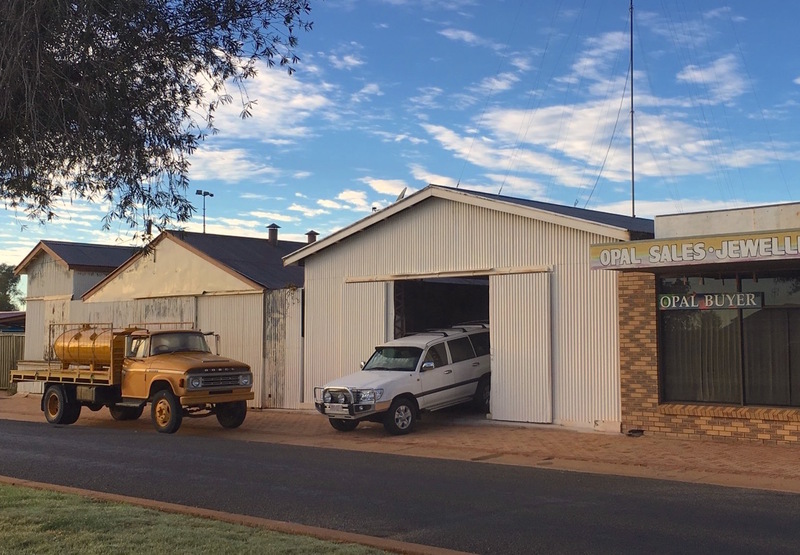 See Part 2: Sydney to Broken Hill for a thorough description of the Royal Flying Doctor Service, an iconic Australian institution. 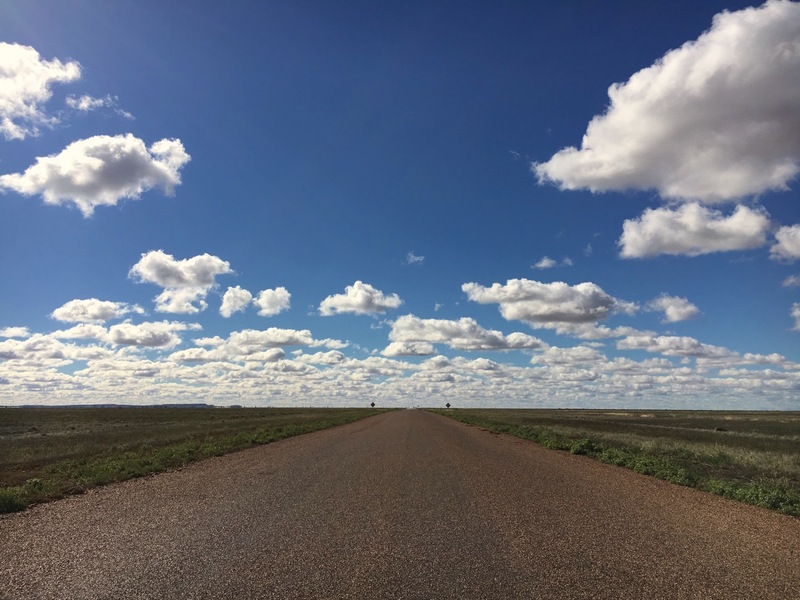 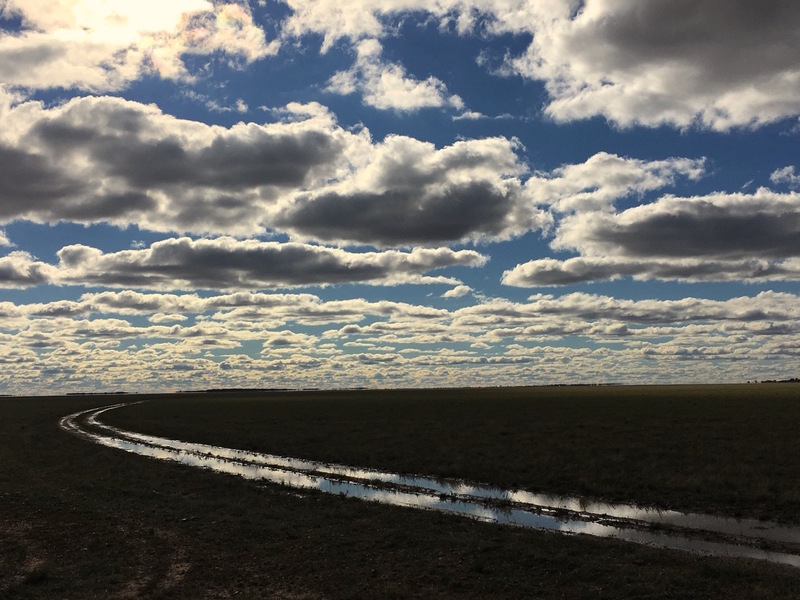 The landscapes I traversed today were as beautiful as they were unexpected: rather foolishly, I had assumed that once I arrived in Birdsville the trip would lose much of its interest. 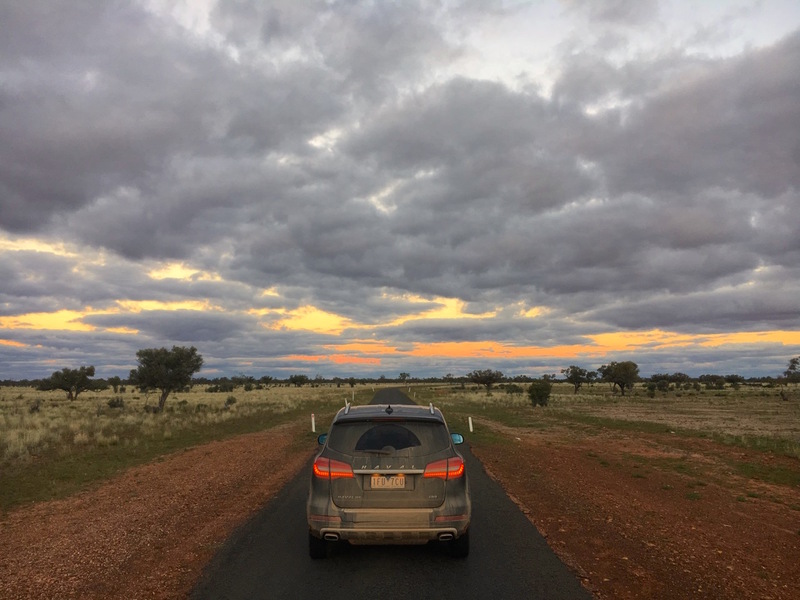 The contrary was true: a mix of arid desert and tenacious vegetation gave the most unusual and striking colour combinations. 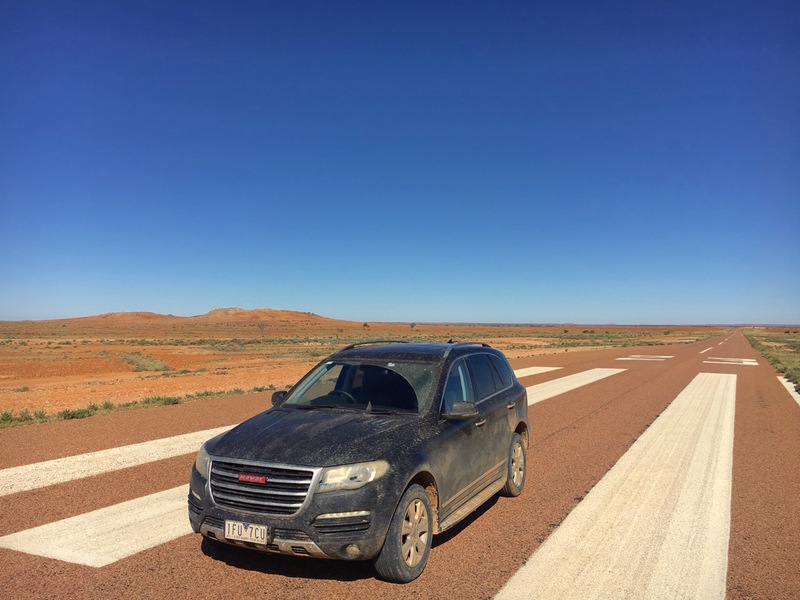 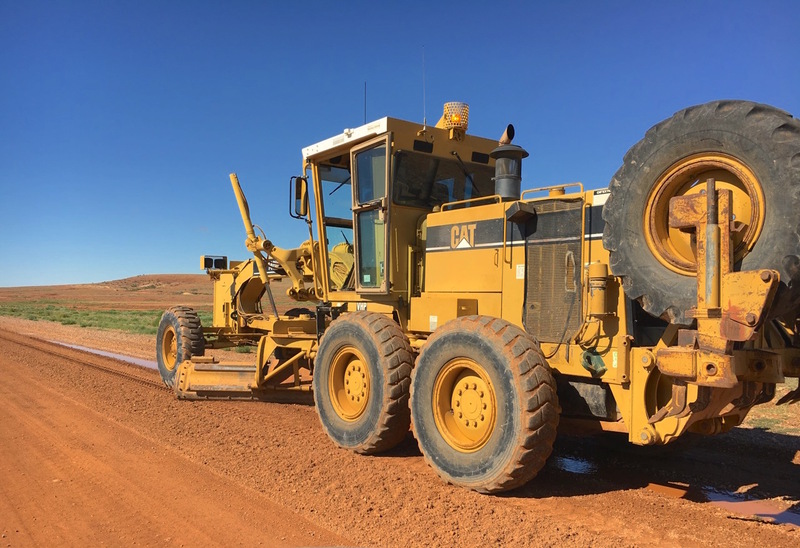 Starting with a tough rusted gibber plain from Birdsville, the track goes through the more fertile Channel Country composed of intertwined rivulets. 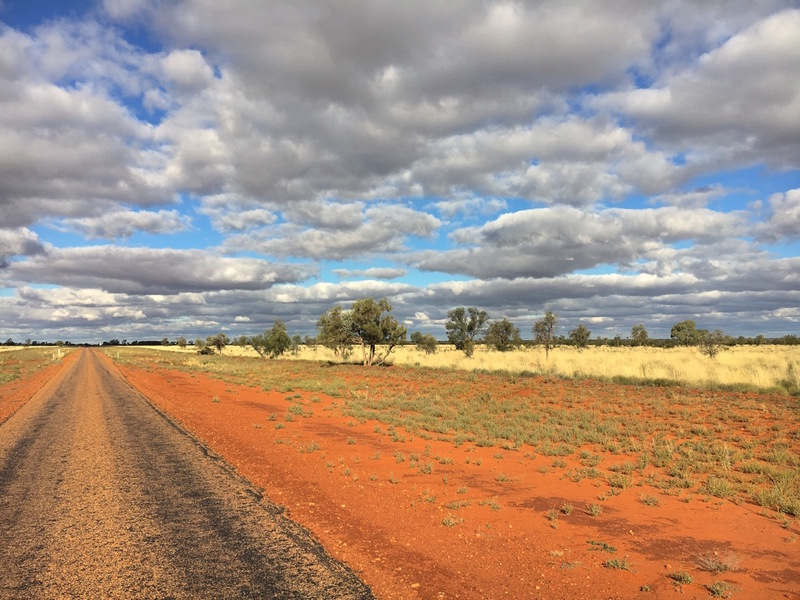 There, the bright blue of the sky mixes with the orange earth, grey clouds and green and yellow vegetation. 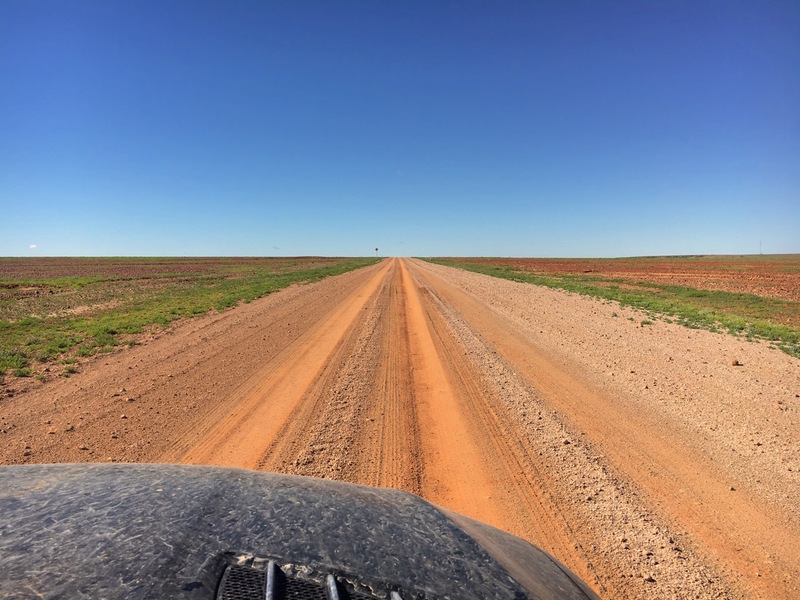 Sometimes bright red sand dunes dash the horizon.